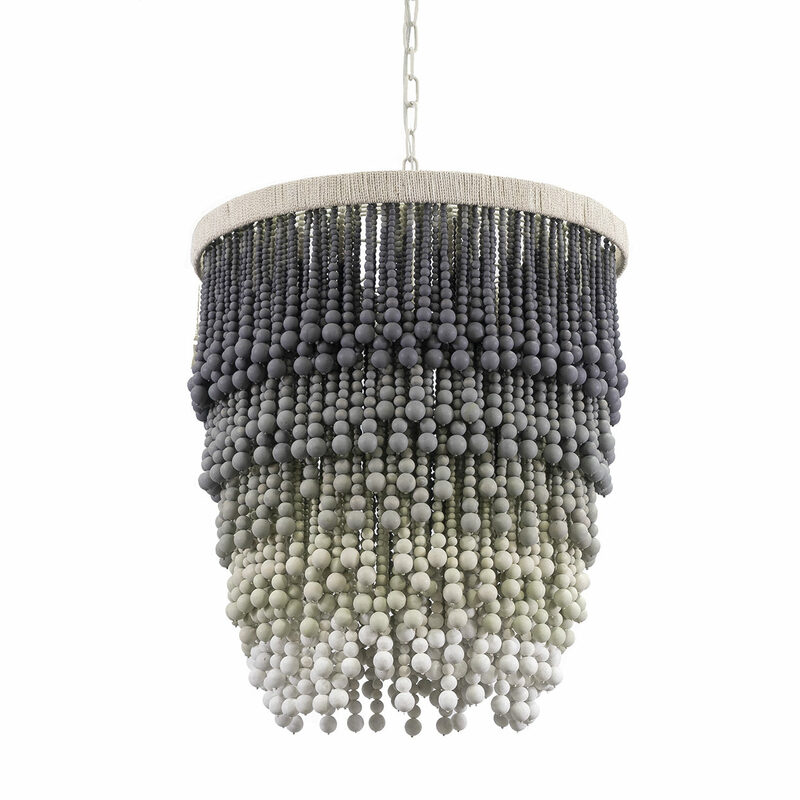 Metal top frame with hand-wrapped jute rope featuring hanging wood beads in a grey tone ombre finish. Pendant comes with a cream finished chain and canopy hanging kit. Professional installation recommended.